Rumor mill: Google Voice about to be a Gmail VoIP service. That’s the rumor, whether you believe it or not. Personally, for now, I’m calling shenanigans. The post image is the supposed interface and, even for Google, it’s a bit too ugly to be real. Of course we know that Google is likely building a desktop VoIP client. We’ve talked about this in the past. But this newest piece of information blowing in the wind doesn’t have anything backing it up other than what we already know. 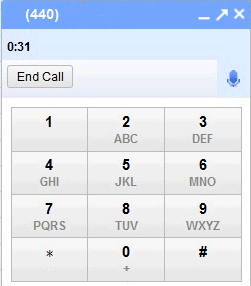 We’d, of course, welcome a Google Voice VoIP system. As a matter of fact, I think it’s about the only thing that would give Skype a true run for its money. But as for now, you might want to watch out for the bovine excrement.